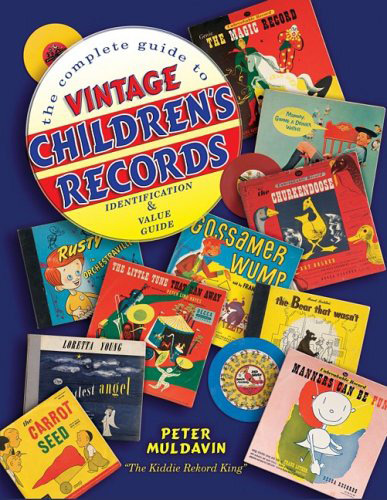 This long-awaited reference book represents a first of its kind: an almost complete listing and price guide to vintage children's records. Though the content is mainly dedicated to 78rpm records, a few early 45rpms are included. The book attempts to cover all 78rpm kiddie records made in the United States. The dates of coverage range from the 1890s to the 1960s, with most of the listings being from the 1940s and 1950s, the period of time that the author refers to as the "Golden Age" of children's records. In addition to brief background notes and histories of hundreds of obscure as well as famous record companies, there are listings for nearly 14,000 records and 450 record labels, making this the most complete discography of its kind ever in print. Most entries have never been listed in a reference book. There are hundreds of color images, many never before seen by collectors. Values are stated in two condition categories: excellent/mint and good/very good. Gene Autry's children recordings are included in this beautiful book which will help answer the often asked question, "Just how much is my record worth?" To buy this book we are linking to the author's website.